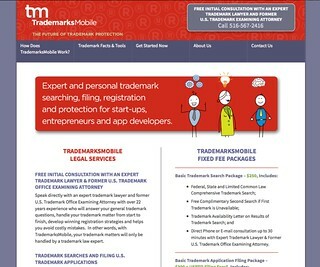 We recently wrapped up an interesting project to design a logo and website for TrademarksMobile, which is a startup web-based trademark registration service aimed at entrepreneurs and tech people. The client is a small intellectual property law firm that wants to compete more effectively with Legal Zoom and other web-based providers. For the logo, we crafted something simple and clean that would be comfortable in a high tech environment, such as on an app icon. We hope the result is so simple as to seem nearly effortless. The initials make sense alone, and stand out from more clichÃ©d competitor logos in this category. Then we collaborated with David Ramos at Imaginary Terrain to create a website that is responsive and mobile-friendly while being visually rich and approachable on a full-size screen as well. The website was developed and refined over a period of more than a year, as we refined the user experience and rethought contents through an iterative process. We focused on the mobile version first, and then expanded and reworked the presentation for larger screens. Soon it will be adapted into an iOS and Android app as well. Live for just a couple of weeks, it has already begun generating leads and revenue for the client. Todd Braverman, founder of TrademarksMobile, said, “Working with Sensical Design was a pleasure. Dan is extremely creative and responsive, and every iteration of the project got better and better. He went above and beyond my expectations.” You can see the site live at TrademarksMobile.com. 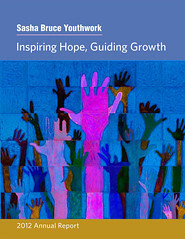 We recently completed the 2012 annual report for Sasha Bruce Youthwork, a great nonprofit in Washington, DC, that works with runaways and other at-risk youth. In keeping with the youthful focus of the organization’s activities, we designed a piece that is colorful and lively, filled with energetic photos of their clients and volunteers. 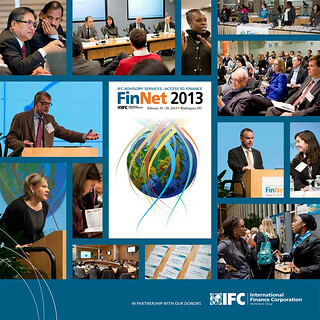 You can download the full report at the Sasha Bruce website.